Rebekah Westover Photography: Featured. Weddings Unveiled. 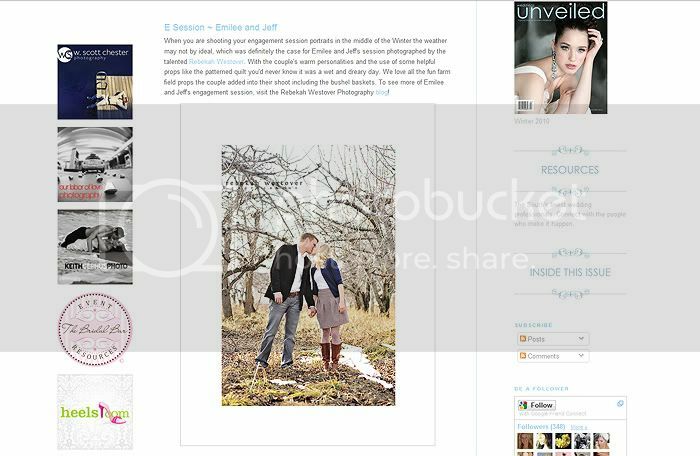 Jeff + Emilee's lovely shoot featured on Weddings Unveiled Blog! Oooh, I'm so excited. Check out the feature HERE. And of course take some time to peruse their pretty wedding blog. Thank you so much Weddings Unveiled!